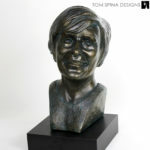 This gallery features a life-sized custom bronze bust we made as a memorial sculpture for a university. 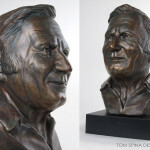 To save on foundry cost and keep the work within our client’s budget and timeframe, this particular portrait bust is created in resin with a realistic faux bronze finish, including a patina. The tribute statue was a university’s unique way of honoring the memory of Dr. Maxwell, a professor who had passed away. 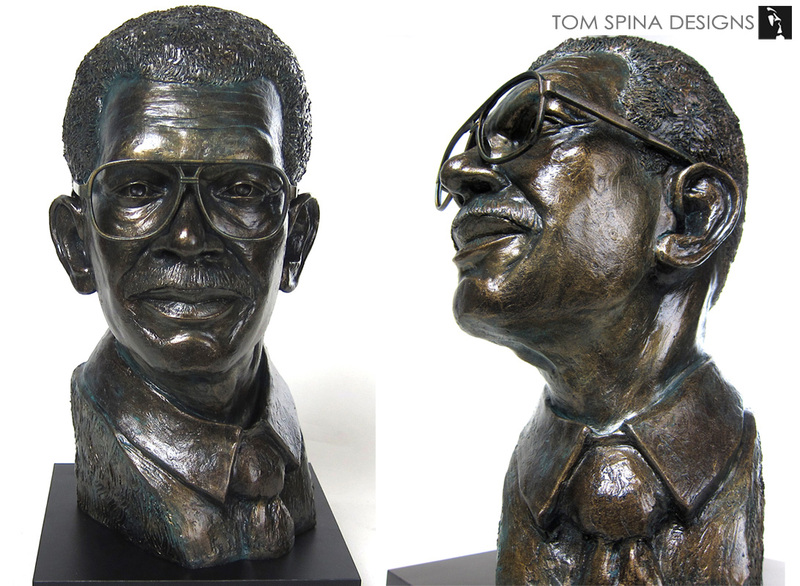 It was hand sculpted in clay by sculptor Tom Spina at our New York studio, who created the university’s bust using only photos of the professor. 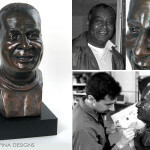 The clay was molded for casting in resin, a lightweight plastic similar to fiberglass. 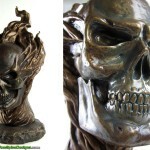 The final piece of art was painted with our faux bronze finish. Want a unique way to honor the memory of a loved one or coworker? 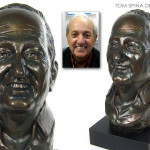 View the process in creating a custom bronze memorial bust!